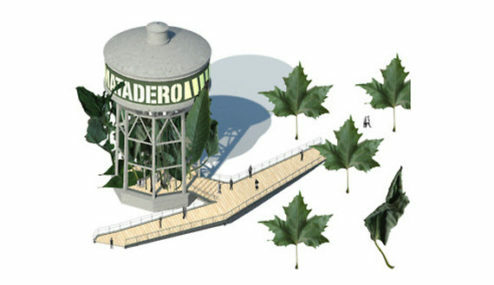 The project is an unmarked sound installation created for the new access to the Matadero Madrid cultural complex around its iconic elevated water tower, near Legazpi square. The intervention remains invisible, embedded in the architecture, creating a subtle zone of sound which merges with the everyday sonic environment at this open-air public location. The intervention features a multichannel composition consisting of evolving layers of high-frequency textures, insect-like rhythmic patterns and micro sounds. 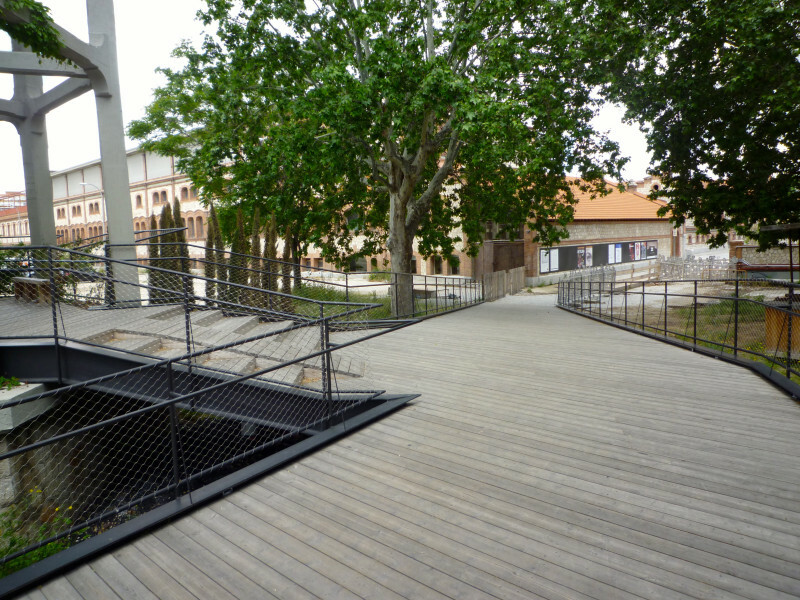 The sound is projected through twenty small transducers concealed on both sides along the wooden footbridge. The work runs 24/7, producing a sound eld in continuous interaction with the uctuations of the weather, the urban background noise and the ow of passers-by during day and night. The Sharawadji effect is an aesthetic effect which characterises the sensation of plenitude sometimes created by the contemplation of a complex soundscape whose beauty is unexplainable. Whether in a dreamlike or anxious state, we are sometimes completely deaf to the environment. However, while on a walk or on a journey, our spirit can combine availability, attention, perspicacity and therefore become receptive to new things, including sonic fantasy.